Description Of Item: DC Direct presents Justice League of America (JLA) The New Frontier Series 2 action figures. 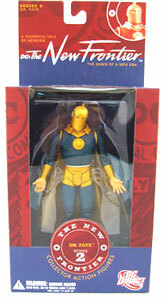 This is sure to be the most sought-after line of DC characters figures ever! This figure features multiple points of articulation, includes a display base and is packaged in a 4-color window box.